Come see this fabulous and updated three bedroom all brick home located on the desirable Druid Hills Road. You will love how the character and charm have been maintained while numerous updates have been made such as Pella replacement windows throughout, refinished hardwood floors, newer kitchen and bath. Step into the formal entry with crystal door knobs, a classic powder room and arched doorways that lead to the living room with recessed lights, built in bookcases, a fireplace, bay window and shutters. The kitchen sports white cabinets, granite counter tops, updated lighting, stainless appliances and three windows overlooking the backyard. To the right is a formal dining room with plenty of light and to the left is a breakfast room that could also be used as an office which leads to a screened-in porch. Up the lovely staircase is a window seat with storage and three bedrooms. The master bedroom is spacious with two closets, natural light and another window seat with storage. The second bedroom is delightful with three windows and wainscoting. The third bedroom has a deep closet and ceiling fan. The full bathroom has been completely updated with new vanity, lighting, marble flooring and subway tile. Also on the second floor is a large closet that could be turned into the master bath or walk in closet. The basement has also been recently finished to add more space for a playroom, theatre room or office. There is more unfinished space in the basement for storage and laundry. Outside is a generous backyard, with a pea gravel patio and operating 2 car garage. 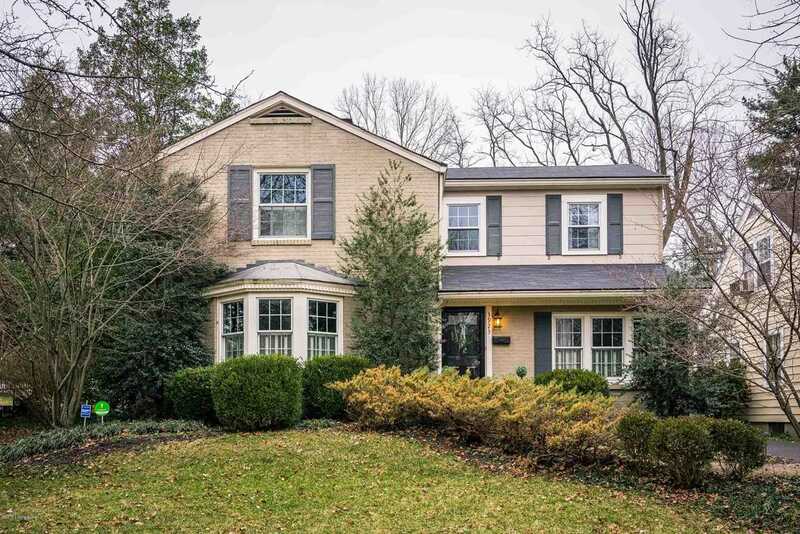 You can't beat this fantastic location, just off Chenoweth Lane in St. Matthews. SchoolsClick map icons below to view information for schools near 3923 Druid Hills Rd Louisville, KY 40207. Listing provided courtesy of Parker & Klein Real Estate.